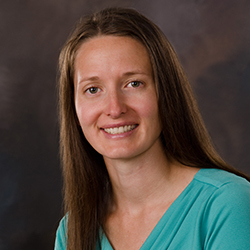 A physician assistant, Larsen has over 10 years’ experience practicing medicine with special interests in healthy living and preventative care. She appreciates natural medicine and enjoys educating patients about proper overall wellness including nutrition and fitness. She is a graduate of the University of Nebraska Medical Center where she earned a Master’s degree and completed her Bachelor’s degree at the University of Minnesota in the Twin Cities. She is originally from Marshall, Minn. Larsen has been providing acute patient care in the Crosby Clinic since July 2013. She enjoys cooking, hiking, and spending time with family and friends.